Opinion: The Embargo on Cuba Failed. Let’s Move On. 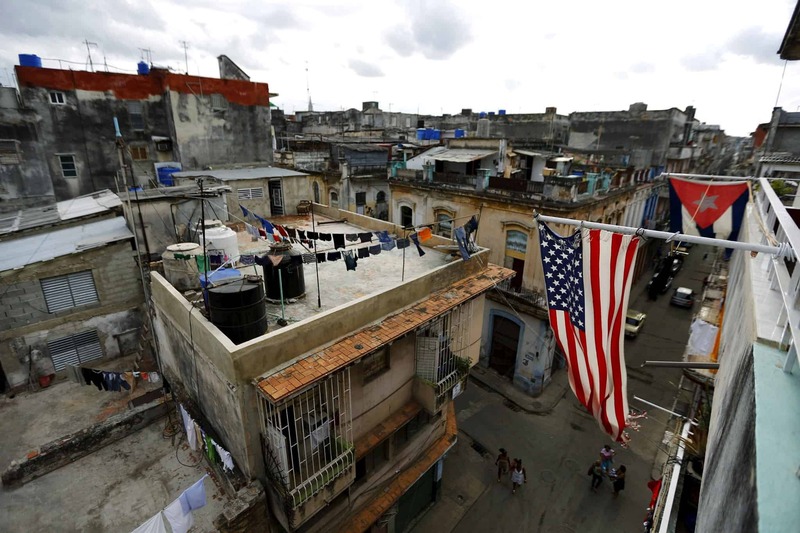 Interesting piece on Cuba from Nick Kristof this morning in the NYT. His take is pretty much the one we (Brian, Sheryl, EHE) have taken since our first visit nearly four years ago. We have found the people to be just about the most friendly and open we have met anywhere in our travels, and the country to be the safest and one of the most beautiful we have visited. HAVANA — It has been 60 years since Fidel Castro marched into Havana, so it’s time for both Cuba and the United States to grow up. Let’s let Cuba be a normal country again. Cuba is neither the demonic tyranny conjured by some conservatives nor the heroic worker paradise romanticized by some on the left. It’s simply a tired little country, no threat to anyone, with impressive health care and education but a repressive police state and a dysfunctional economy. Driving in from the airport, I saw billboards denouncing the American economic embargo as the “longest genocide in history.” That’s ridiculous. But the embargo itself is also absurd and counterproductive, accomplishing nothing but hurting the Cuban people — whom we supposedly aim to help. After six decades, can’t we move on? Let’s drop the embargo but continue to push Havana on improving human rights, and on dropping support for other oppressive regimes, like those in Venezuela and Nicaragua. Let’s make room for nuance: Cuba impoverishes its citizens and denies them political rights, but it does a good job providing basic education and keeping people healthy. As I noted in my last column, on Cuba’s health care system, Cuba’s official infant mortality rate is lower than America’s (its real rate may or may not be). I’m not a Cuba expert, and I don’t know how this country will evolve. But Cuba has a new president, Miguel Díaz-Canel, who is associated with experiments in opening up the economy. Fidel is gone and his brother Raúl is fading from the scene. In the 1960s, we were scared of Cuba. We feared that neighboring countries would tumble like dominoes into the Communist bloc, and the Soviet Union attempted to place on Cuba nuclear missiles that could have threatened America. But today even as those fears have dissipated, our policy has ossified. President Barack Obama took the necessary step of re-establishing diplomatic relations and easing the embargo, but President Trump reversed course and tightened things up again out of knee-jerk hostility to anything Cuban and anything Obaman. Cuba is changing, albeit too slowly. About one-third of its labor force is now in the private sector, and this is just about the only part of the economy that is thriving. I stayed in one of the growing number of Airbnbs in Havana, and people were friendly, even if governments are not: When I said I was from the United States, I inevitably got a big grin and a reference to a cousin in Miami or New York or Cleveland. Plus, extra credit goes to a country that so lovingly preserves old American cars. I rode in from the airport in a pink 1954 Cadillac. In another sign of flexibility, Cuba recently hammered out a deal with Major League Baseball that will allow Cuban players to travel legally to the U.S. and play on American teams. Yet, sadly, the Trump administration is threatening the deal. Consider the persistence of North Korea and Cuba, and there’s an argument that sanctions and isolation preserve regimes rather than topple them. China teaches us not to be naïve about economic engagement toppling dictators, but on balance tourists and investors would be more of a force for change than a seventh decade of embargo. Moreover, trade, tourism, travel and investment empower a business community and an independent middle class. These are tools to destabilize a police state and help ordinary Cubans, but we curtail them. America blames the Castros for impoverishing the Cuban people, but we’ve participated in that impoverishment as well. Cuba’s government is not benign. It’s a dictatorship whose economic mismanagement has hurt its people, and Human Rights Watch says it “routinely relies on arbitrary detention to harass and intimidate critics.” But it doesn’t normally execute them (or dismember them in consulates abroad like our pal Saudi Arabia), and it tolerates some criticism from brave bloggers like Yoani Sánchez. It is revising its Constitution, and my hope is that over time — despite ideologues in both Havana and the United States — relations will continue to develop. Some American seniors who now winter in Florida could become snowbirds in Cuba instead, relying on its health care, low prices, great beaches and cheap labor. You can hire a home health care aide for a month in Havana for the cost of one for a day in Florida. China’s economic boom began in the early 1980s partly with factories financed by Chinese overseas, and after the American embargo ends, Cuba will have similar opportunities to forge mutually beneficial business partnerships with Cubans overseas. That would benefit both sides. For 60 years we’ve been feuding, like the Hatfields and the McCoys, in a conflict whose origins most Americans don’t even remember clearly. So come on. We should all be bored by a lifetime of mutual recriminations and antagonisms. Let’s put aside the ideology, end the embargo, tone down the propaganda and raise a mojito together. I propose a toast to a new beginning.